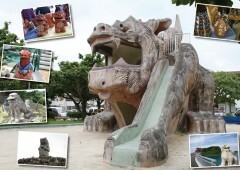 Ginowan City is the 5th populated city in Okinawa and has rapidly changed its urban makeup over the years. This is especially true for places like Oyama, Mashiki, and Uchidomari districts which at one time hosted US military installations like Camp Boone and Camp Mercy. To this day you may still find old military residential buildings from that era throughout the city. MCAS Futenma and parts of Camp Foster are the remaining US military facilities left in Ginowan City. Because of the base restrictions, geological survey and research are sometimes slow. This makes it difficult to gain a thorough understanding of the geological makeup underneath. 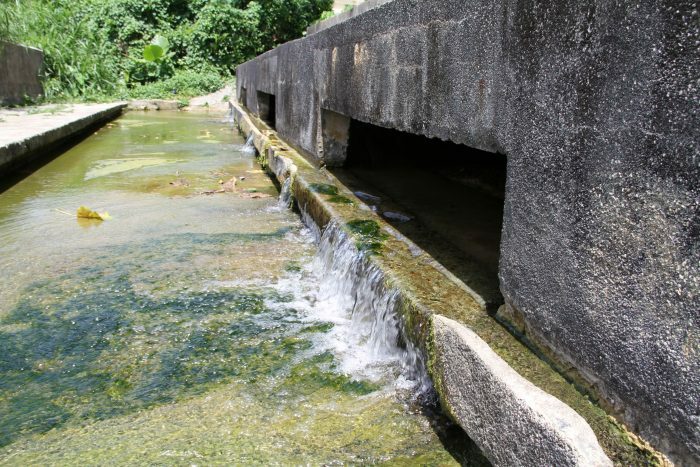 However, it is long understood that in some parts of the military occupied areas as well as throughout Ginowan City, large natural conduits of water streams flow underneath, and as a result, many natural water springs can be found in the region. 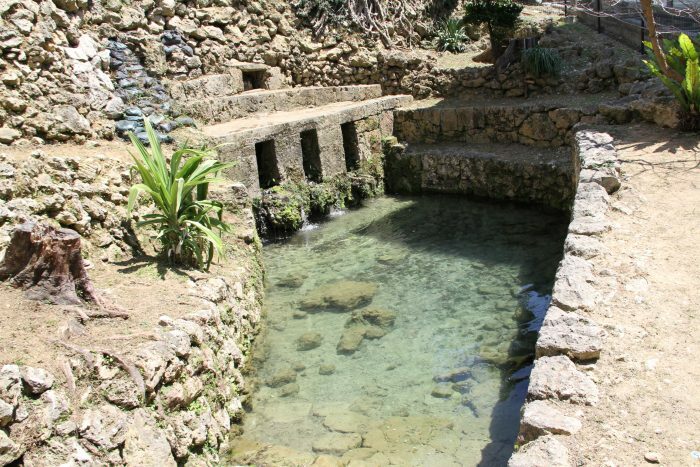 It was long ago, that these springs were the source of water for many of the earlier villages and settlements. 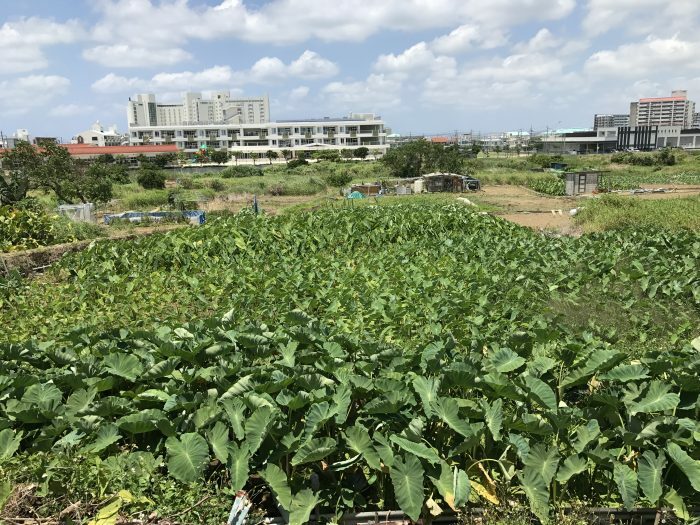 Today, much of this natural water is still used by farmers, especially in the Oyama District where taro potato production is very popular and one of the best locations in Okinawa for this type of crop. 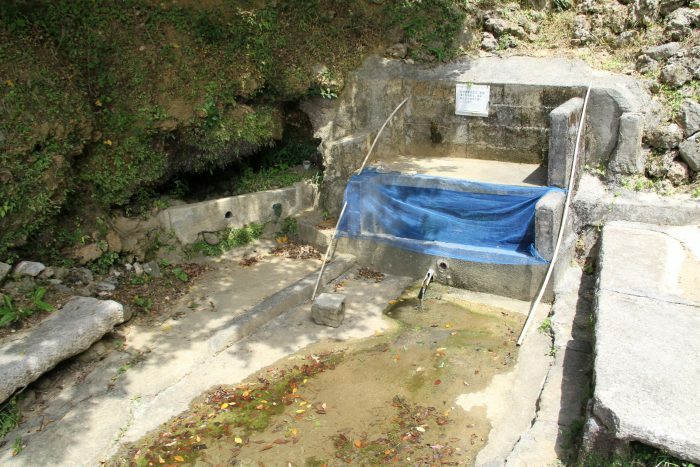 Many of these springs are now preserved and have historical importance to the local community. Taro potato fields in the Oyama District. 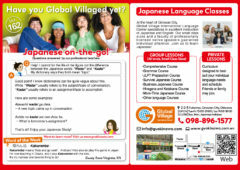 One interesting fact of Ginowan history is that there was once a small railway system that ran through its territory. The railway ran from Kadena to Naha, from Naha to Itoman, and another route from Naha to Yonabaru. This was prior to the Battle of Okinawa and much of it was destroyed during the war. It was along this rail system in the Ginowan region that many springs could be found. 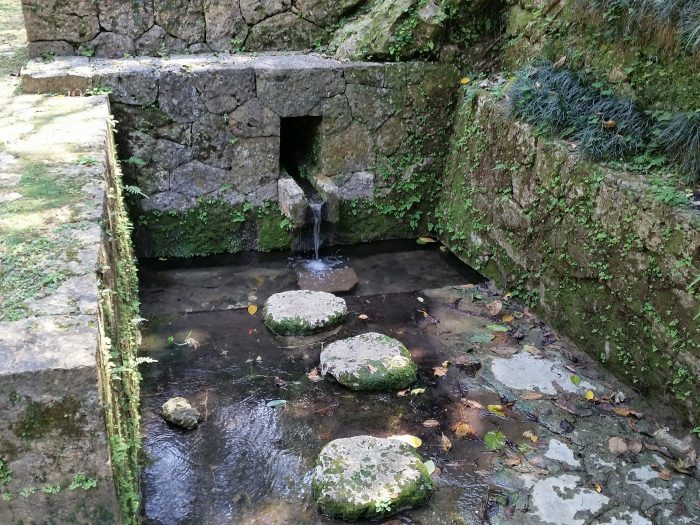 It fact, these springs serves as a reminder of pre-war Okinawa and the once rail system that was used by the people of Okinawa. 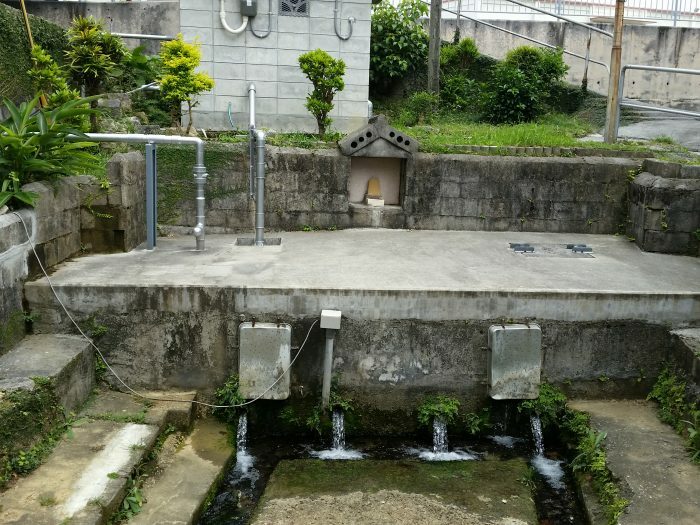 Below are just some of the many springs that can be found throughout Ginowan City. 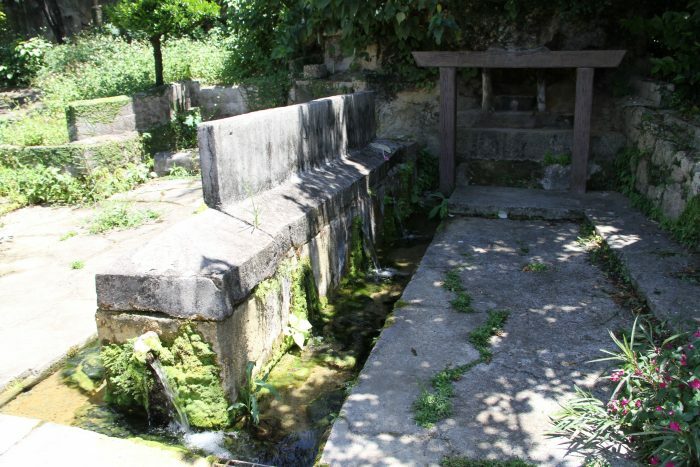 A water spring flowing profusely in the Oyama District. Its elongated shape gives it a unique look. 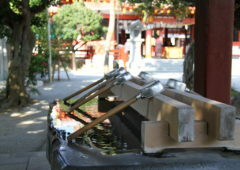 Still today, it is very rich water spring. Currently, not much water runs through it. It has remnants of the past with a few old benches next to it. The spring is preserved. 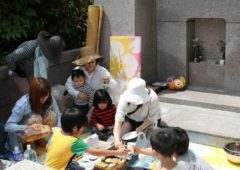 It is said that the spring is not as abundant as it was in the old days. The Aranaki Gaa Spring. Water pipes installed to redirect spring water to paddy fields. This is a rich water spring. Water pipes connect it to the nearby paddy fields. It is currently in good physical condition. 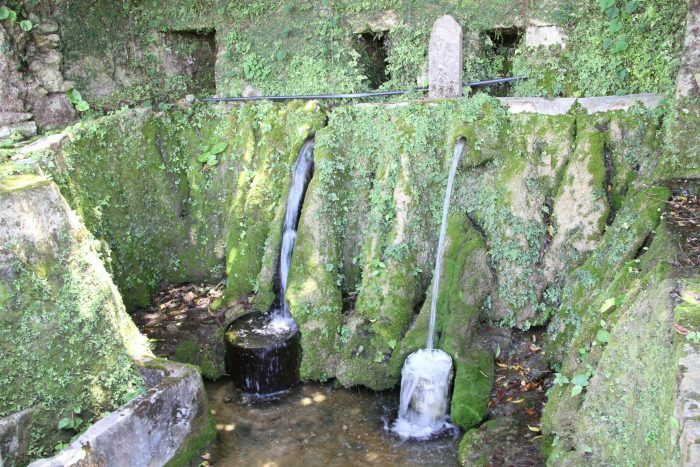 A long time ago, water springs like this one were central to daily life. 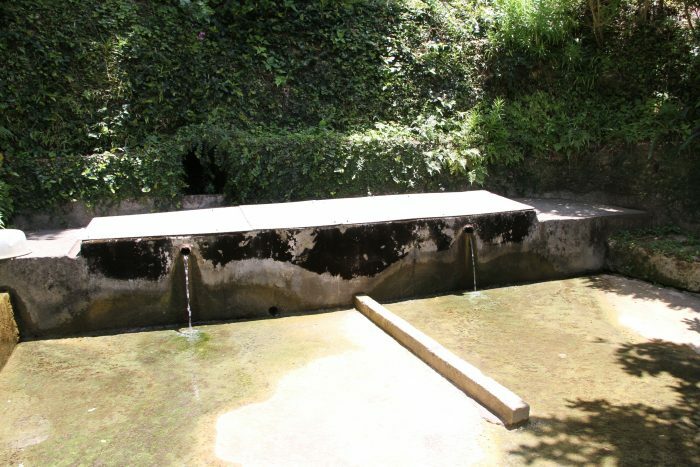 Mendakari Hiijyaa Gaa is a rich water spring. 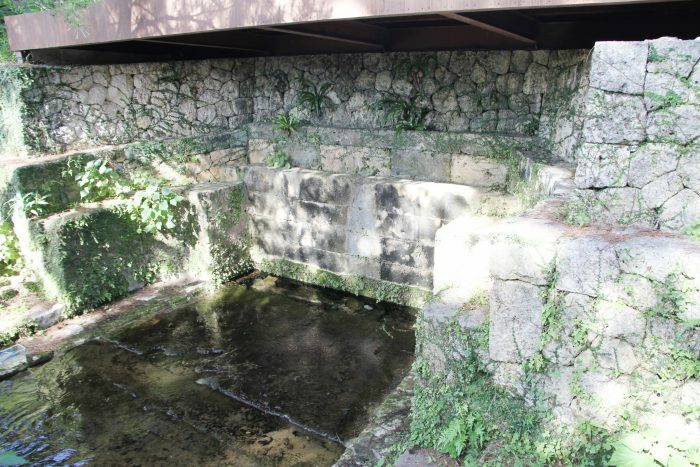 Long ago, the layout of the spring had divided space between men and women to conduct their daily chores and activities. 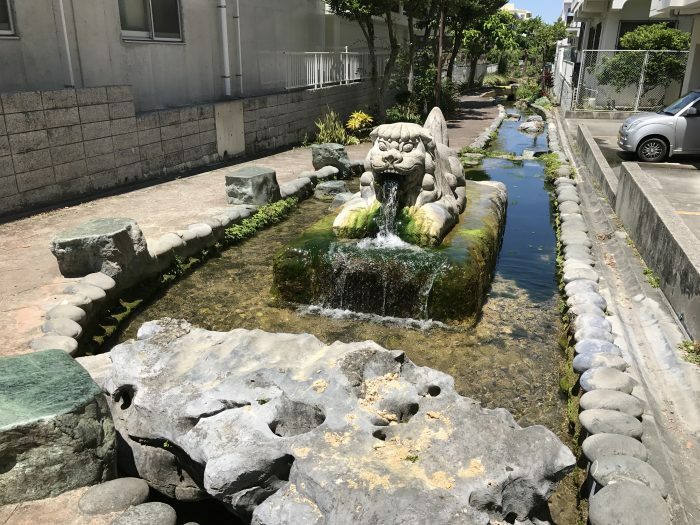 Mun-nu Kaa is located inside the Morikawa Park in the Mashiki District of Ginowan City and is one of the most well-known water springs in Okinawa. And it is sacred. Legend has it there was a beautiful maiden, thought to be an angel, who was taking a bath in this spring. Her heavenly robe, ‘hagoromo’, was not too far to the side. A local man had spotted her and took and hid the garment for his own keeping. Unable to return to the heavens without it, she stayed and became the man’s wife. She bore two children with him, a girl and a boy. The woman eventually found her garment, tipped off by her daughter who sang about the robe and its location when the she was singing a lullaby to the younger brother. Upon putting it on, she immediately left to the heavens leaving her family behind. 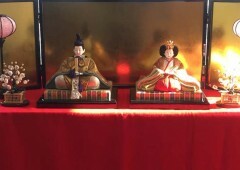 Legend has it that the boy grew up to be King Satto, one of the old kings from the Chuzan region (middle Okinawa). This legend became known as Hagoromo. 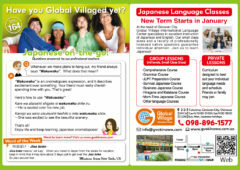 Morikawa park is a large park. There are other places that are considered very sacred and are forbidden to enter. Ojyaan Meenu Kaa is located at Ojyana District next to Ojyana Elementary School. Ojyana Meenu Kaa was very important water spring to the local people as it used for daily life. Ceremonies are still held here a couple of times a year. 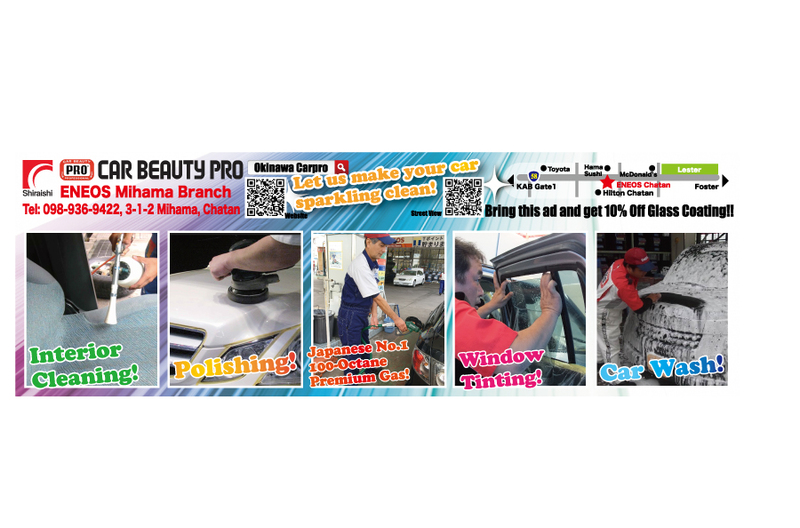 Shichanu Kaa is located next to the Ginowan Police Station in the Mashiki District. It’s a large size water spring. Sometimes small kids play there to cool off or to catch small fish and shrimp. 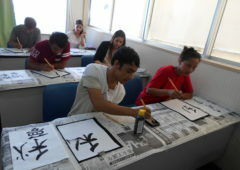 Funshin Kaa is located in the Isa District of Ginowan City. The spring is very near the Isa intersection which is near the boundary line of Camp Foster. Funshin Kaa flows into small streams within the local area. *It is not recommended to drink from these springs. 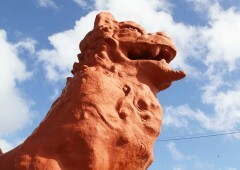 I lived on Okinawa from 1966 to 1969 in Ginowan-Oyama. We lived on the upper terrace just east of where Camp Mercy was located. I am a geologist now and retired but I have taken an interest in the Geology of Okinawa over the years and have read various studies that were conducted from 1945 to the present. A few comments. 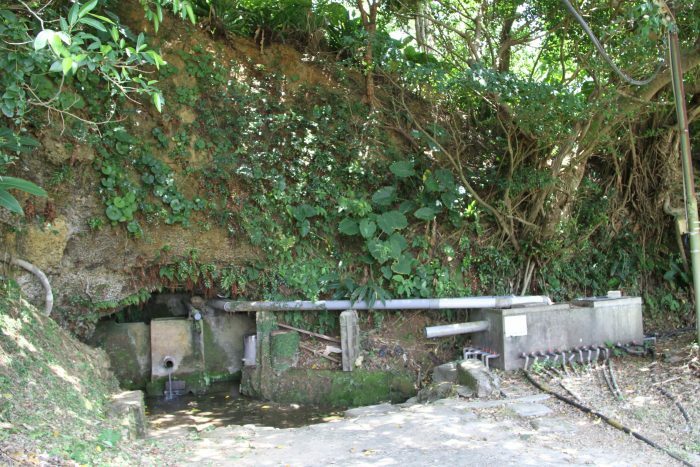 First, back in the day when the US military occupied the greater part of southern Okinawa a lot of ground water pollution took place. Most of it was out of ignorance. My father’s electronics repair unit on Kadena routinely dumped solvent into the “ravine” next to their Quonset huts. This ravine had a creek in the bottom of it of course and was contaminated by the solvent. I do not know how many years before he took command or how many years afterward this continued to occur. I do know the solvent was Toluene which is a carcinogen. During my years as an environmental consultant, we routinely had to check ground water for toluene and other solvents that were components of gasoline. It tends to bond with organics in the soil and the human body so it’s long term presence can cause cancer. Second. 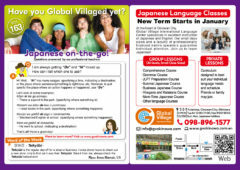 The demise of the springs is due to the heavy urbanization of the island since the reversion back to Japanese control. Springs are fed by infiltration. When ground is paved over, put under a roof or otherwise made impervious to the infiltration of rain water, the aquifer feeding the spring starves for water: hence the diminished flow. Instead of infiltrating into the porous soil and rock below, the water is routed to drainage ditches and is channeled directly to the coast. I have seen this many times when civil engineers destroy geological systems out of ignorance or they deliberately do it after weighing the pros and cons of a growing urban area. The presence of so much algae at the mouths of the “springs” tell me that the water is already compromised and is not suited for human consumption. Urbanization and heavy road networks tend to channel a lot of toxic metals and other chemicals (debris from roads such as tire particles from tire wear, compounds from fuel combustion and engine lubricant drippings) most rinse off the roads and into the soil and ground water and then into the springs. Lead used to be a problem when it was a fuel additive before unleaded gas became the norm. 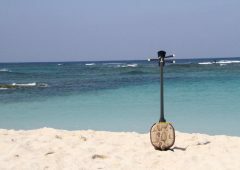 If I lived on Okinawa today, I wouldn’t use the water from the springs for anything, no more than I would use the water from the storm water sewers from New York City.